These are two different but very similar designs. The lift station is specifically designed for the pumping of waste or sewage material to a higher elevation versus the Pump Station which is designed to raise water, not sewage, to a higher elevation. They are completely different in the material they contain and move, so try not to interchange their names because they are not interchangeable. Sewage has water intermixed with various solids and often has stringy debris that would clog a typical impeller, requiring grinder type pumps. The sewage also generates various poisonous gases and the storage basin must be treated as a hazardous location. In order to prevent the pump from frequent cycling there needs to be a range of levels that start the pump and then stop the pump, in some cases requiring more than one pump. The “dead” time that a pump is off should not be so long as to allow the sewage to become septic. When it becomes septic (which is a condition of putrefaction) it becomes hazardous waste and could need to be managed differently. This may sound odd for sewer effluent but it is a serious condition. In today’s designs the pump and motors are generally of the submersible type, thus solving many of the problems of isolating the motor and pump from the sewage environment. The electrical system and controls still must be isolated from the effects of the contamination of sewage and weather. Many modern control systems also include electronic monitoring systems that are sent to a centralized location. Here the operational status, as well as any alarms, can be conveniently monitored. The lift station can range from a small in-home station where the motor is a fractional horse power motor, to a municipality where the system has several large horse power motors with built-in redundancy that helps minimize the consequences of pump failures. Needed controls could include high water alarms, alternating pumps controls (called a Lead-Lag system) and indicators for any power loss to the controls or the station. A pumping station has its own set of considerations that need to be addressed in its design. In general they involves moving large quantities of water, whether that is water from a storm management system or a reclaimed water system from a water softener or condenser. Some pumping stations operate on a constant basis and others on an infrequent basis. Those that operate on a constant basis may be the type that move water from drainage areas or diked systems to higher levels. 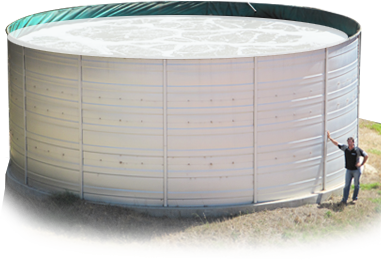 These types must consider the effects of rainfall on the pumping requirements. For example, a pumping station in Florida, where they get an average of fifty inches of rainfall annually, would see far more operating time then say Phoenix, Arizona that gets only about eight inches annually, on average. There have been cases where rainfall has reached levels of 15 to 20 inches over a few hours. When this is a possibility appropriate pump sizing and/or redundancy is a critical aspect of the operational consideration of system design. The pumping stations that are designed to operate on an infrequent basis have their own set of design challenges. Namely, the float switch material used on the float to activate the pumping station can deteriorate over time when not in use. This can result in the failure of the entire pumping station to activate, causing unwanted flooding. An example is when pumping is required during excessive rainfall in a localized area, such as a low laying neighborhood or roadway and the pumps do not activate. The requirements for this system involve special considerations as the need for the pumps to become active may occur only once very few years in a dry area like Arizona. The problem now becomes one of maintenance and performance verification. When pumping or other systems remain inactive for long periods of time there are also corrosion and seal deterioration issues that are difficult to test, unless a full scale operation is conducted. This presents its own set of challenges to the maintenance staff. In addition, when the issue is excessive rainfall, the pumping of the water must be to a location that will not exasperate the situation. Principally, the controls for either the list station or the pumping station operate in much the same manner, including alarms and pump cycling. The difference between them is found in the code requirements for the ‘Authority Having Jurisdiction’. Those codes can vary widely from city to city and state to state so always consult your local authority having jurisdiction.